Nowadays I’m all grown up and carry on my mom’s tradition of handing out plates of goodies during the holidays. 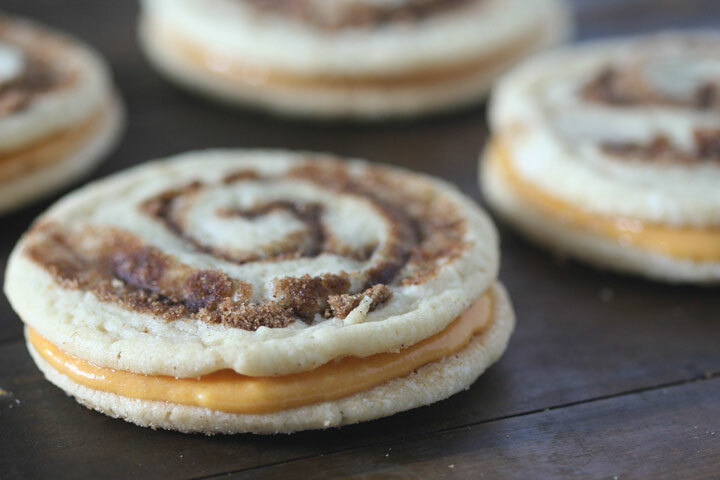 These pumpkin pie spice swirled sugar cookie sandwiches with pumpkin cream cheese buttercream are at the top of my favorites list for this years collection. Winning over the Coquito frosted sugar cookies only by a narrow margin due to my intense love of all things pumpkin. 😉 I hope you guys love them too! 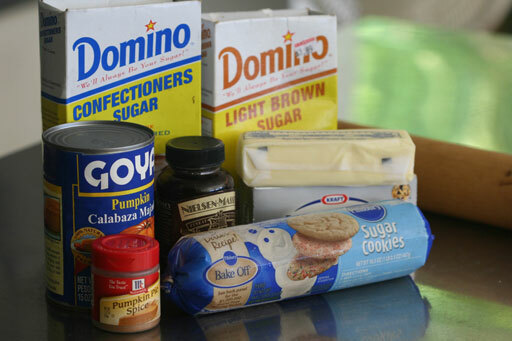 Pumpkin Pie Spice Swirled Sugar Cookie Mise en Place! 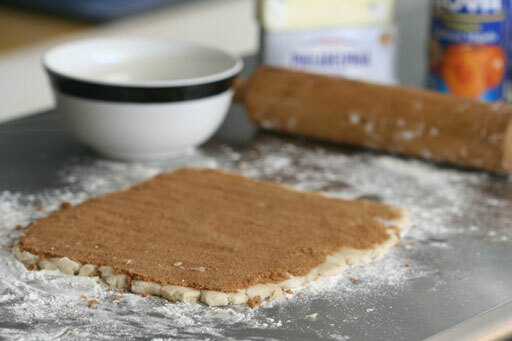 First roll out the sugar cookie dough and sprinkle with brown sugar-pumpkin pie spice mixture. 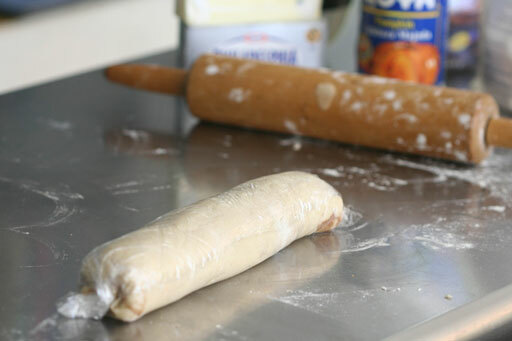 Then you roll the dough into a tight log, wrap it in plastic wrap and chill. 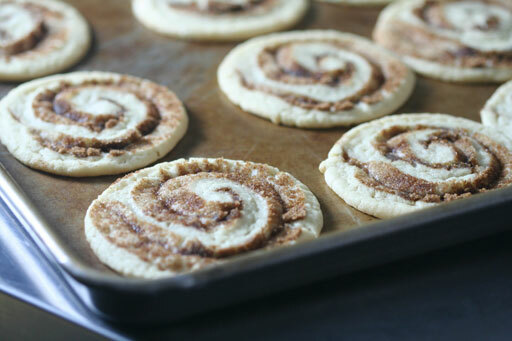 Finally, cut the dough and bake off those beautiful swirled sugar cookies before filling with buttercream!